Cocaine administration in rats increases locomotor activity as a result of underlying changes in neurotransmitter dynamics and intracellular signaling. The serine/ threonine phosphatase, calcineurin, is known to modulate several signaling proteins that can influence behavioral responses to cocaine. This study aimed to determine whether calcineurin plays a role in locomotor responses associated with acute and repeated cocaine exposure. Second, we examined cocaine-mediated changes in intracellular signaling to identify potential mechanism underlying the ability of calcineurin to influence cocaine-mediated behavior. Locomotor activity was assessed over 17 days in male Sprague–Dawley rats (n = 48) that received daily administration of cocaine (15 mg/kg, s.c.) or saline in the presence or absence of the calcineurin inhibitor, cyclosporine (15 mg/kg, i.p.). Non-cocaine-treated animals from this initial experiment (n = 24) also received an acute cocaine challenge on day 18 of testing. Daily cyclosporine administration potentiated the locomotor response to repeated cocaine 5 min after cocaine injection and attenuated the sustained locomotor response 15 to 40 min after cocaine. Furthermore, cyclosporine pretreatment for 17 days augmented the acute locomotor response to acute cocaine 5 to 30 min after cocaine injection. 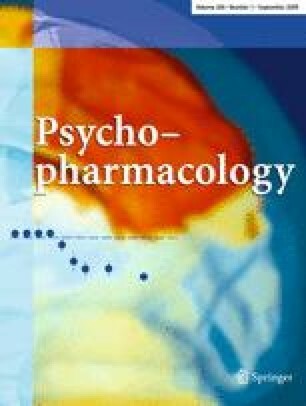 Finally, repeated exposure to either cocaine or cyclosporine for 22 days increased synapsin I phosphorylation at the calcineurin-sensitive Ser 62/67 site, demonstrating a common downstream target for both calcineurin and cocaine. Our results suggest that calcineurin inhibition augments locomotor responses to cocaine and mimics cocaine-mediated phosphorylation of synapsin I. The online version of this article (doi: 10.1007/s00213-008-1189-5) contains supplementary material, which is available to authorized users. This work was supported by DA14241 and DA11717. NAA was supported by MH18882 (American Psychological Association) and DA021459. AB was supported by Fellowship for advanced researchers from the Swiss National Science Foundation (PA00A-117453). MRP was supported by DA00436. Chronic cyclosporine increases the locomotor response to acute administration of 10 mg/kg cocaine. a Cyclosporine pretreatment for 17 days gave a trend towards a potentiated increase in total locomotor activity to an acute 10 mg/kg cocaine challenge on day 18 (p = 0.09, independent sample t test). b Analysis of locomotor activity in 5-min bins to the acute 10 mg/kg cocaine challenge on day 18 (GIF 50 KB). Supplementary Figure 2 High resolution image file (TIFF 492 KB). Repeated cyclosporine administration results in decreased weight gain. Animals that received cyclosporine (either alone or in combination with cocaine) showed a main effect of cyclosporine administration over testing day in both the 15-mg/kg cocaine study (p < 0.001, 4A) and the 10-mg/kg cocaine study (p < 0.001, 4B) (GIF 53 KB). High resolution image file (TIFF 748 KB).